Many aviation related books, especially those of a historical nature, are now out of print. All too often an aviation enthusiast misses out because they are not able to get hold of a copy of a book because of a limited run. Two such books, by Ken Fuller, are Down Memory Lane, Rand Airport The Early Years after World War Two, published on this page and Africair Ndega Ya Wenela which can be read here. We felt that this was poignant as the publications fall within the scope of the South African Airways Museum Society’s endeavours to collect the history of civil aviation in South Africa. Down Memory Lane details some of the Aircraft Operators from a bygone era and Africair Ndega Ya Wenela tells the story of one of aviation's greatest achievements. Our thanks to Ken who agreed to us to publishing the books in their entirety here on our website. This is the story of the colourful Operators and larger than life characters that were based at Rand Airport in the early years after the Second World War. It was a bit of a free for all, until the National Commission brought some kind of order. I wish to acknowledge the contributions of Costa Athos, Dave Becker, Ted Broome, Tony Clegg, Quentin Fuller, Dave Kemp, Dave Lawrence, Pat Patterson, Carl Reck, Bill Teague, Peter Van Emmenis, John Austin-Williams, and finally Inge Meredith for permission to use extracts from her late husband Tom’s book “Sky Trek”. I hope all will accept this acknowledgement and gratitude. Ken Fuller, an ex training ship "General Botha Cadet", Airline and Corporate Captain now retired. He considers himself lucky in having experinced the relatively early pioneering days of flying to a modern jet operation. On December 21,1931 the first flight of Imperial Airways arrived from London at Rand Airport and the airport was officially opened by the then Governor General, the Earl of Clarendon. Germiston City Council, the Rand Gold Refinery and Elandsfontein Estates originally owned the airport. The increasing importance of Johannesburg as the centre of the route network led to South African Airways headquarters and Maintenance base being transferred from Durban to Rand Airport on July 1 1935. In 1939 Johannesburg and Germiston were joint owners till 1944 when Johannesburg took over. There were no runways in those days, just an open field. One of the attractions was the massive horizontal clock, and the Terminal Building, which today is a National Monument. After the war Rand Airport was a hive of activity with many new private Operators filling the vacuum and at the same time exploiting the large pool of ex service pilots. One of the Staff that I remember was Jimmy Inglis who was for many years the airport electrician. Managers were Bob Howie followed by Phil Lowman and Pyper. On the ground traffic side were Eddie Sammons a keen dancer who we nicknamed “Waltzing Matilda” together with Ted and Sonny James . Theunis Van Wyk and Bodley were the Air Traffic Controllers. Theunis was also a flying instructor who helped me obtain my Commercial flying licence and for this I will always be grateful. My first introduction to Rand Airport was in 1948 where I learnt to fly at the Albatross Flying Club. It all started when I met Dave a budding pilot who invited me to fly in his Tiger Moth. Shortly thereafter I found myself upside down, hanging by the seat straps of the Tiger Moth, above Brakpan’s public swimming pool. Dave was about to let the bathers know that the “Ace” had arrived. It was just as well that I was ignorant-the sheer thrill of the experience keeping fear at bay. I was “hooked” and so began my flying career that was to last some 42 years. After all I concluded that flying was a whole lot better than working. Albatross Flying Club was situated in hangar 11 and was run by Tommy Tomlinson together with Guy Davidson, Reg Martell and Chief Instructor Dennis Allen. The cost of flying lessons in those days was two Pounds ten shillings an hour and many of to-days well-known veteran pilots learned to fly at the club. On my second flying lesson Dennis, under the mistaken impression that I had flown more than the grand total of 30 minutes, started me on circuits and landings. The result was that we both thought of each other as idiots. However, we were a dedicated bunch and if we had a choice between eating or girls, flying always won. I eventually sold my car (1934 Auburn) to fund 100 hours of flying. Later, as fate may have it, I bought my own Tiger Moth ZS-BUT for the princely sum of ?100. Dave, Lionel and I often used to fly in formation and have dogfights over the East Rand. When I think how inexperienced we were to even consider attempting this, it makes me shudder. There is a saying that God looks after children and pupil pilots. For night flying we laid single Gooseneck flares. Bill Teague remembers on a very chilly night in May 1949 when not flying we all huddled around the “Money” flare to keep warm. Albatross had a decrepit old lorry with a flat wooden deck that was used to set out the flares. The wind shifted sufficiently so it was decided to re-lay the flare path more into wind. The old African helper, who was called Joseph, drove down the line picking up the flares and putting them into the back of the lorry. Unfortunately one of them was not fully extinguished and the clutch not being what it should have been when eased out, sent a sharp judder and one of the flares fell over and set the back of the lorry on fire. The ensuing fire spread quickly because over the years the lorry’s wooden deck had become saturated with spilt fuel oil. Joseph headed at high speed directly to us where a fire extinguisher was always near at hand. In no time the entire lorry was ablaze, so Joseph was obliged to evacuate the cab and was standing on the running board reaching in to steer with one hand, and yelling Baas, Baas come quick. Being a pitch Black night the approaching bon-fire was a striking sight. We all laughed, but really it wasn’t all that funny. The old lorry was pensioned off in the light of day, being little more than a charred chassis. There was no more flying that night! The Rand Flying club survived the great 1930 depression and played an important role in providing flying training for many leading civilian and military pilots of distinction. One of them Capt. 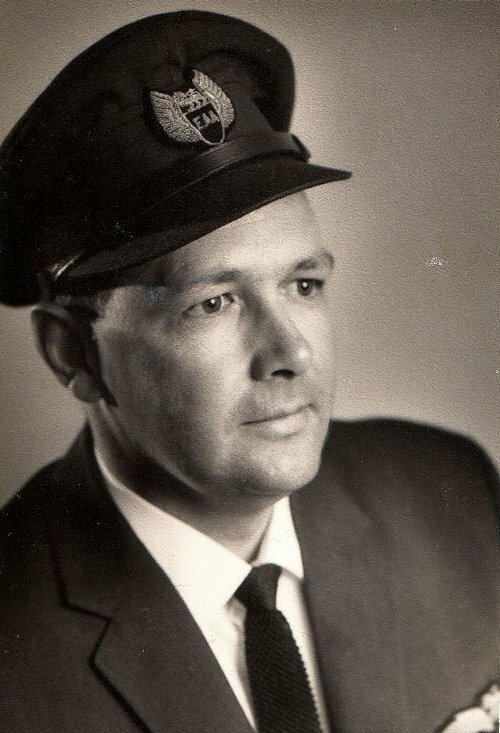 Len Inggs joined the South African Airways in its infancy from the RFC where he served as their chief instructor. At the outbreak of the war the club had been one of the best flying clubs in the world It had owned 14 aircraft, had a staff of 4 Instructors, a Gliding section and a well-equipped workshop. On the commencement of hostilities, the club placed everything it possessed at the disposal of the Government. Practically every eligible member joined the forces, and a number of its members were killed on active service. The Rand Flying Club and the Witwatersrand Technical College of Aeronautics co-ordinated their efforts to become the first military ab-inito flight training school under Capt. Jack Clayton of the SAAF, and soon the elite 40 squadron was stationed at the Rand. After a break of just under six years, the club was re-opened after the war years on Saturday April 20th by Brigadier C.G. Ross, Chairman of the S.A. Civil Aviation Society. During the afternoon there were numerous air displays including an Air Force Harvard which gave a thrilling aerobatic display. The club now turned its attention to recommencing activities. Thanks to the Clubs Manager, Mr. F. B. Haswell, everything was set for the Club to go full steam ahead, it now had 500 members. For starters the club obtained 4 Tigers, a Hornet and Leopard Moth from the Govt, and purchased a Piper Club. At their AGM on May 7 1947 Mr. D. W. Lang, Chairman of the club said the flying club had completed more than 2000 hours without accident. In achieving this record, he said, great credit was due to the club’s instructors, Messrs. H. J. C. Gray, R. Davidson and C. P. Hobbs. The membership was now in the vicinity of 800 making it one of the largest clubs in the world, Colonel A. J. Brink became the new Chairman, Skipper Gray as he was fondly known was appointed secretary, with Mr R. Davidson and Mr Bill Hobbs as Instructors. I remember Chief Instructor Skipper Gray and some of the other Instructors namely Stan Gray, Hope and Tubby Singleton. Hope prepared me for my Instrument Rating Test on the clubs Tri Pacer ZS-DHB in 1953. Tubby had just returned from service in the Korean War and we became good friends, meeting later in 1969 in New York where he was taking delivery of a Jet Commander for Placo (Pretoria Light Aircraft Company). Sadly in 1960 the club went into liquidation and was taken over, becoming the Transvaal Aviation Club. ZS-BOA the first de Havilland Chipmunk in the country belonging to the Rand Flying Club. Chief Flight Instructer Skipper Gray stands proudly beside it. Squash court in the background. In 1946 Anglo Vaal Air Services named A. V. Air transport and Africair Servicing operated a Dakota between South Africa (Rand Airport) and England (Croydon) Six months later they purchased a second aircraft fitted out as a Combi (passengers and freight) Avair pilots were Hansie Haaroff, George Gray, Jimmy Boyd and their radio operators were Ted Oxlee and Cris v d Westhuizen. Africair Servicing a division of Miles Aircraft South Africa, was the agent for Miles in South Africa. The first Miles aircraft ferried out from the UK. was a Miles Gemini. A small four seater twin, flown by well-known Alex Henshaw of International fame. In 1946 they amalgamated to form Africair Ltd. Both companies were part of General Mining. The management of the newly formed Africair was Chairman Sir George Albu, Managing Director T.V. Mitchell, Directors G. Lloyd and T. Ward, Operations Manager and Alternate Director Jack Andrews. In April 1951 Africair successfully operated a flight for Wenela between Lusaka and Lilongwe to prove the viability of operating a mine labour airlift. First crews were Jack Andrews, Kurt Kaye, Ted Hartwell and Dennis Middlebrook. Dennis says they lived in two hotels called the Lusaka and Lilongwe and had no transport, relying on taxis. There were no maintenance facilities at either end and therefore all necessary servicing and repairs had to be carried out by the crew. As a result of this successful flight, Wenela Air Services were formed in 1952 with Africair as the operating company using Dakota Aircraft with Francistown as their base. The operation was to last 22 years flying 1.1 Billion passenger miles on 52,000 flights. The number of aircraft hours flown was over 136,000. In 1953 I (Ken Fuller) joined Africair. Initially I flew their Rapides with a chance of later being transferred to the Dakota fleet once I passed my Instrument rating. One of my regular flights was the Platinum Run where a mine detective accompanied me to the Northam and Rustenburg airfields. We uplifted bars of platinum from the local mines and off-loaded them at Palmietfontein, which in those days was the temporary International airport. The early morning flights to the Free State mines in Rapide aircraft were real “freezers”. The Africair aircraft engineers would jokingly say that if I gave them too many snags to fix, they would make more holes in the fabric fuselage so that I could really freeze. Tommy Ward a director of Africair writes with justification that in the normal course of events it has always been the flight operation that has gained the limelight. It would however, be a grave injustice if the efforts of the engineering staff at the Rand Airport base was not accorded their fair share of this rich segment of Aviation history. In truth, it was there that it all began, a crew that worked throughout the night to make the first flight on schedule. Theirs was a prevailing spirit, full of enthusiasm and freshness of mind that created innovation above all a desire for the Company to succeed that would be the envy of any emerging organisation. To cap it all an “Esprit de Corps” was created that survives till the present although Africair is long gone. The history of Dakota ZS-DFN is a remarkable illustration of what transpired at the time. It was bought from the S.A. Air Force disposal stock for an absolute "song" and made its way to Rand Airport from Waterkloof Air Station, without wings, towed by the “horse” section of a heavy transport vehicle. Its purpose was purely to provide a cheap source of uncommonly used spares which would not normally be held in stock, and to provide a test bed for our engines. A short time later as a result of the Korean War prices of old Dakotas climbed to record levels and became a much sought after commodity. Knowledgeable minds turned to the lonely old “bird” and decided that it was easier to build an engine test bed than an aeroplane and so the rebuild of a flyable aircraft was started. Some months later after complete overhaul, phoenix like, ZS-DFN, after test flights and a great celebration party, began a second career and was involved in the very start of the airlift in Francistown. On the practical side a Wenela Dakota was a very special aircraft because in order to make the entire operation feasible a beyond normal economy had to be achieved. This entailed reducing the empty weight of the aircraft to the stage where forty passengers could be carried over stage lengths of 1100 KM with safety reserves of fuel. This was achieved by light weight cabin flooring, light weight smaller cabin seats and lighter radio equipment. Dennis Middlebrook who was Africair’s Chief Engineer tells the story about another Dakota ZS-DIW, owned by Anglo American which crashed at Rand Airport on a training flight. This aircraft was extensively damaged, including a broken main spar, and Africair engineers successfully rebuilt this aircraft for the airlift. Another aircraft with a history was a DC-4. This aircraft was originally owned by Icelandic Airways which had forced landed on a ice floe. It was recovered by Scandinavian Airlines, repaired and sold to Africair who converted it for use by WAS. From this beginning the internal engineering section developed where every aspect of maintenance was successfully provided. Although this is a story about their Rand Airport operation it is worth mentioning Fields roots. The parent of Fields in Africa was the Aircraft Operating Company of London, which carried out aerial survey work at home and overseas. The use of aircraft was an integral part of survey work and these aircraft in Africa were based at Baragwanath airport. At this time the fleet consisted of one Puss Moth and a Dragon Rapide. The maintenance of the two aircraft was not enough to justify a special servicing team, so the team was made available to other aircraft operators. Thus Air Services (Pty) Ltd was created in 1935, generally known as APL. A staff of six, with three apprentices and two labourers, sustained the new company. Mr. S. Millyard was the manager, the senior maintenance engineer, Hans Klopper, was the proud holder of pilot licence Number Two. The profit for the first year was ?156, before the payment of directors and audit fees. The decision to broaden the scope of APL to embrace technical representation of overseas aircraft and aeroengine manufactures in South Africa, however, ensured that the company was well established prior to the Second World War. During the war APL was put into moth-balls while all members of the staff joined the South African Air Force wherein they formed the only Active Citizen Force Squadron, under the name of the Transvaal Photographic and Survey Squadron, amplified to No 20 Squadron. (Later No 60 Squadron). The Hunting's introduction to the Aircraft Operating Company, AOC, came when the Hunting family bought some shares in the Company. When hostilities of World War Two ceased, the Company was soon to be reformed at Rand Airport. In 1952, the name of Fields Aircraft Services of Africa (Pty) Ltd was adopted and the company moved into the Rand Airport premises vacated by South African Airways when they moved to Palmietfontein Airport and later to Jan Smuts Airport. As a maintenance facility they offered modification of aircraft, overhaul and repair of engines, welding and rebuilds. In 1957 the S.A.A.F. awarded Fields the first of the annual contracts for the overhaul of its Harvard and Dakota aircraft, a cordial relationship had been established between the Management at Germiston and the Air Force representatives concerned with the execution of contracts of that nature. In 1992 all the world-wide aviation interests within the UK based Hunting group (which by then included Fields) were renamed to reflect the Hunting parentage and as such, Fields became Hunting Aviation (Pty) Ltd. This was again changed in later years to the present name of Fields Airmotive who today is one of the leading engine overhaul facilities. The major forces in keeping Fields at the forefront of industry were Arnold Iglish, Fred Kruger, and the present Managing Member Dave Kemp. Arnold Iglish like Dave Kemp started their careers with Fields as apprentice aircraft maintenance mechanics rising through the ranks to the top position, while Fred Kruger on the other hand commenced his career with South African Airways and joined Fields in 1955. There are many others who contributed to the success of Fields, and like their colleagues in Africair their efforts were also not accorded their fair share of this rich segment of Aviation History. Fields Engineers at work. Dave Kemp on the right. The Keyser and Cowan families owned P.A.A.C. jointly. Their Chief Pilot was Kurt Kaye a celebrated pilot who had been a fighter pilot during the First World War and served in the squadron commanded by Baron Von Richthofen. He was an aviator of the old school who loathed instrument flying and hated losing sight of the ground. They operated mainly into the infant state of Israel and later became embroiled in the first Arab/Israel war. On one occasion one of their eccentric Captains who shall be nameless took off from Geneva bound for Malta. Arriving at Malta he was unable to land due to weather conditions so diverted to Rome. At Rome the weather was just as bad with cloud on the ground and thinking that the weather at Malta might have improved, he made up his mind to return there; but Malta was still closed with storms covering the entire Mediterranean area. By now desperate he set course for El Adem near Tobruk in Libya. With a low fuel supply and doubtful if he could make it, a break in the cloud decided him to ditch the aircraft while he still had power. A successful ditching was accomplished but a very surprised passenger who was first out dived into about two feet of water. The landing had been made into the shallows of a bay on the African coast. The same Captain many years later was involved in an incident when he produced a revolver and fired two shots, one on each side on the then director of Civil Aviation whose department had suspended the Captains licence for some misdemeanour. In his defence he said he was a crack shot and if he wanted to kill him he would not have shot on either side. Another one of Tom’s stories was at Juba in the Sudan where most of their northbound flights stopped. The airport Commander was an expatriate South African who for some reason took a delight in being obstructive and difficult as possible until one of their First Officers in full view of the passengers, chased the pompous official around the aircraft several times, threatening to kill him. This had the desired effect for he kept well out of sight whenever his adversary landed at Juba. 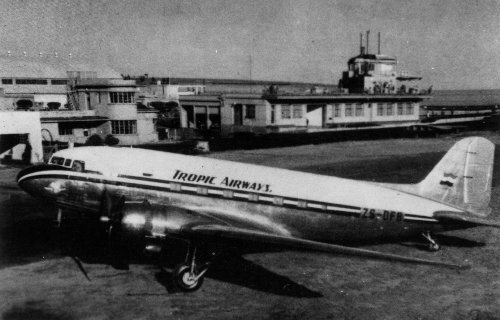 Tom left Pan African after refusing to take part in shady currency transactions on the part of the management and did some freelance flying for both Universal and Mercury before starting Tropic Airways in 1950. Pan African did not last much longer, which is not surprising the way they operated. Another of the short-lived operators which sprang up after the war, and like Pan African, also operated into Israel. Ted Broome who flew for them as a Radio Officer tells the story that some of the crew made extra money by smuggling the forbidden cans of Ham into Tel Aviv. They had an arrangement with the refueller at Tel Aviv who took care of everything. The Captains who were innocently involved were quite concerned about the sluggishness of the aircraft after take-off from Bulawayo Airport, unaware of the extra weight on board. From Wadi Halfa to Tel Aviv they were supposed to follow a route to keep clear of Egyptian air space This would have entailed extra flying time, so they would after take-off initially turn on to a easterly heading and after a few minutes, conveniently lose radio contact before altering course to take them straight up the gulf of Suez on a direct track. It was a mystery why the Wadi Halfa controllers never seemed to get wise to it, or maybe they deliberately ignored what was going on. After the Company ceased to operate in 1950 their Dakota aircraft was taken over by The Israel Air force. The crewmembers were to provide a nucleus of aircrew for the EL AL airline. At the start of the war the Junkers Ju 86 aircraft were converted into bombers and transferred to the S.A.A.F. The Ju 52/3m aircraft together with the remaining aircrew and technical staff followed early in 1940 and became known as No 5 wing. Towards the end of 1944, the Air Force was able to return first six and then another five Lodestars to S.A.A. This skeleton fleet enabled them to resume scheduled operations again and as the war drew to a close and more aircraft became available services were increased. In November 1945 SAA in partnership with B.O.A.C, inaugurated its first trunk service between Johannesburg and London with converted Avro York aircraft and in 1946 they were replaced by Skymasters. A temporary airport Palmietfontein was opened to cater for the overseas run and the larger aircraft being introduced. By the end of 1947 S.A.A. fleet had grown to 41 aircraft comprising 7 Douglas DC-4 Skymaster, 8 Vickers Viking, 19 Lockheed Lodestar, 5 Douglas DC-3 Dakota and two de Havilland Dove. One of the original Dakotas ZS-AVJ named the Paardeberg taken into service in 1947 crashed into the Ingeli Mountains near Kokstad on 16 October 1951 en route from Port Elizabeth to Durban killing all 13 passengers and 4 crew that were on board. Findings were that weather, lack of Navigation aids, proper forecasts and route information were contributory causes and the crew was not entirely to blame. For some reason forecasters were unaware that they flew the direct route and they only gave forecasts covering the coast. The fleet was improved when 4 Lockheed 749A Constellations were introduced on the London run releasing the Skymasters for service on the internal routes. In 1948 all internal flights were transferred to Palmietfontein. Administration services, stores and overhauls remained at Rand until 17 April 1952 when all activities were transferred to the new Jan Smuts airport. After a long association with Rand Airport it was a sad day to loose S.A.A. who were so much part of the history of the airport. Mr. Gordon Fillery, Chairman of Mercury Airways had great confidence in the future of private enterprise in Civil Aviation in South Africa. They had numerous unfulfilled plans of ordering new aircraft for a South American and USA. Service. They did however obtain a contract previously held by A.V. Air, for carrying the Royal Greek Mail from Athens to Johannesburg. Fillery in defiance of the British ban at the time on non-schedule operators (except with permission) caused a House of Commons debate. Mercury were also the first in the world to introduce the sale of air tickets on a hire purchase scheme, and with their introduction of the ?220 return excursion fare to England had a good response. Their Dakota aircraft flown by former S.A.A.F. personal crashed into a mountain near Vrede in the then Transvaal, killing everyone on board. The Douglas DC-3-455, construction number 6341 with the registration ZS-BWY was the first South African aircraft to carry sleeper accommodation, and had more powerful engines (750 hp Cyclone) than the ordinary DC-3. On 15 May 1948 the plane had left Stamford Hill airport in Durban at 06:23 that morning. It was due at Palmietfontein at 07:53. The pilot Captain J.N. Smith had been flying more or less on instruments since take-off and had repeatedly asked for homing bearings, the last bearing transmitted was not acknowledged. When the plane skimmed over Rodedale farm just after 07:20 light rain and thick mist obscured visibility. A little way beyond lay the isolated outcrop of Spitzkop, the most westerly of the Witkoppen peaks. The aircraft smacked into the rock just below the crest of the mountain. Down below Willem Botha who ran the farm, was shocked, and phoned the police at Vrede before climbing up the mountain. The sight that greeted him was horrific. The plane had almost disintegrated, with bodies lying around, as far as 100m away. There were no survivors. Palmietfontein Air Traffic Control was not unduly worried at first, assuming the planes radio had failed. However when it was one hour overdue they notified the Civil Aviation Authorities and No 2 wing of the S.A.A.F. were put on standby. Little did they realise what a big air disaster they were facing. The weather and accessibility hampered rescue efforts with only one difficult path up to the summit. There were 13 fatalities, 5 crew, 3 fare paying passengers and the rest were linked to Mercury Airways on some kind of junket. There is nothing left to mark the sight, the story goes that dozens of people signed their names on the tail and for many years it adorned a café in the area. Another story is that passengers on an airborne South African Airways flight at the same time as the crash witnessed an agitated Captain walking up the aisle towards the cockpit. The official finding was that the Captain had initiated his descent through cloud without first checking his position. After the crash Mercury was to merge in 1948 with Sky Taxis Ltd.
Two former S.A.A.F. pilots Harry Hill and Stan Clegg had shares in Suidair. They operated Dakotas and Vikings and leased a Bristol Wayfarer ZS-BOM from Seair Services Ltd, a company that acted for shippers of airfreight. In 1948 they also started a de Havilland Rapide feeder service connecting Rustenburg, Warmbaths, Potgietersrus, Pietersburg, Messina, and later Margate. In 1949 in a major reorganisation Colonel Bob Preller and a Mr F.W. Holshutter who was instrumental in putting Eastern Airlines of America on a firm footing before the War joined as executives. Col. Preller after leaving the S.A.A.F. had considerable experience with T.A.C.A. in South America and with K.L.M. on the West Indies route. Captain H. Hill resigned from the position of Managing Director but continued to serve on the board. Bob Preller was to become joint Operations Manager together with Stan Clegg. Suidair moved its base from Wonderboom to Rand Airport acquiring the buildings at the back of the Rand Flying Club. Suidair also bought out South West Africa Air Transport and installed the only privately owned Link Trainer in Africa in its headquarters in Johannesburg. In nine months the trainer had been used for just over 1000 hours and even Pan American crews were sent there for instrument training. One of their Dakotas ZS-BJZ was to make a (belly flop) in a Congo Swamp. An outstanding feat of salvage was completed in August 1947 when the aircraft was successfully flown out after building a road for the aircraft and draining the swamps. One of the colourful characters that also flew for Suidair was Leo Siegerkranz. He was a Finn and the story goes he jumped ship during the war to join the S.A.A.F. On take off at Kasama he flew through the top of a clump of trees at the end of the runway and on landing at Nairobi ground crew discovered foliage and small branches wrapped around the struts of the under carriage. He calmly said he hit a bird, it was sitting in a tree. Carl Reck remembers a flight to Athens where in bad weather the skill of the Radio Officer Ted Broome saved them from certain collision with a mountain. This was not the first time that Ted had averted what could have been a fatal accident. On another occasion Carl was working at night on an engine at Lydda in Israel when an Israeli Soldier asked him to switch off his torch as the Jordanians are "shooting at us”. They wisely hastily took off for Cyprus and flew to safety. Ted Broome tells the story that on a flight to Lydda via Jedda with Haj pilgrims and seven transit Jewish passengers on board that on arrival at Jedda the Jewish passengers were jailed even though permission had been obtained for them to transit Jedda. The crew were told they could depart but Capt. Cecil Snelgar would not leave them to God knows what fate. So the crew moved into the Arameo (Oil Company) mess, for an indefinite stay. Thanks to the British Consul the unfortunate passengers were later released and flown back to Johannesburg. Suidair went into Liquidation and ceased to operate as from 1-Nov-1950. Stan co-founder of Suidair tragically later lost his life in a freak accident when the de Havilland Dove he was flying for United broke up in mid air. The first charter company from South Africa to operate a Bristol Wayfarer ZS-BOM. The lower photograph shows the spacious seating arrangement. Tropic Airways Tom Meredith, Harry Creed and Jock Hamilton founded Tropic Airways. A Dakota ZS-DFB was purchased from Africair for 10,000 Pounds, 1000 down, the rest spread over nine month. Tom tells us that Johannesburg to England took 4 days, 3 night stops at either Tabora or Entebbe, Wadi Halfa and Malta. When a Central African Airways Viking crashed as a result of a wing breaking off in flight Tropic’s Dakota was chartered to operate some of their domestic services. Fred Gratz, a former S.A.A.F. technician joined Tropic as their Chief engineer and was to prove a wonderful asset. He could keep an aircraft in the air when lesser engineers would have failed. Towards the end of a very successful year of operation they decided to purchase from the South African Airforce, for ?10,000, the Avro York ZS-DGN which had been the personal aircraft of Jan Smuts. The York powered by Rolls Royce Merlin engines was a converted bomber, was roomy and proved popular with passengers. In 1952 the Dakota under the command of Dennis Tribelhorn was successfully ditched in the Mediterranean Sea due to engine failure. The ditching was successful without any casualties, and much credit went to Peter Urquhart, for the professional manner in which he alerted the air-sea rescue services. John Cook the flight engineer also deserves mention when he dived in the sea and towed one of the life rafts drifting apart from the aircraft, which was still floating. An American amphibian aircraft, which landed near the rafts, took most of the passengers on board, while the crew and remaining passengers stayed on the rafts, which were tethered to the flying boat. A British Destroyer arrived later and all the survivors were transferred and taken on board. Ted Broome tells the story that on a flight from the UK via Paris to Niece they cut the corner passing south of a navigation aid they should have checked over. Ted got a QTE bearing from Geneva, (back bearing) which indicated they were heading for high ground in the Swiss Alps and immediately instructed Captain Harry Hill to turn 180 degrees thereby saving what could have been a fatal accident. Costa Athos tells the story that the Avro York’s engines did at times give problems. On one occasion Ronnie Fell the flight engineer hastily without warning feathered one of the engines. Poor Costa was caught unawares unable to reach the rudder pedals with his seat being right back. In 1952 Jock Hamilton left S.A. for London to take up his position as resident director in London. From this vantage point he put the idea that there were distinct possibilities for a British company. Harry Creed did not wish to participate but had no objections for Tom and Jock going ahead. The new company was called “Meredith Air Transport”, subsequently dropped in favour of “African Air Safaris”. This later was to cause distrust with Creed who obtained a provisional judicial management order that was made final as Toms appeal somehow went astray. Harry took over the running of Tropic and it was not long before they were forced to close. This caused problems for Africa Air Safaris which was taken over and became “Dan Air”. The historic York was sold to a Lebanese who operated it in the Middle East. Tom was to rebound back and start Trek Airways which lasted many years as one of Aviation’s success stories. Tom Meredith joined the R.A.F. in 1940 and flying with Transport Command, was mentioned in Dispatches. After being demobbed he joined Sky Travel flying a Bistol Wayfarer. In 1948 he settled in South Africa joining Pan African Air Charter and later Universal Travel before forming Tropic and later Trek Airways. A true Aviation idealist and pioneer, for which South African Aviation owes him a debt of gratitude. 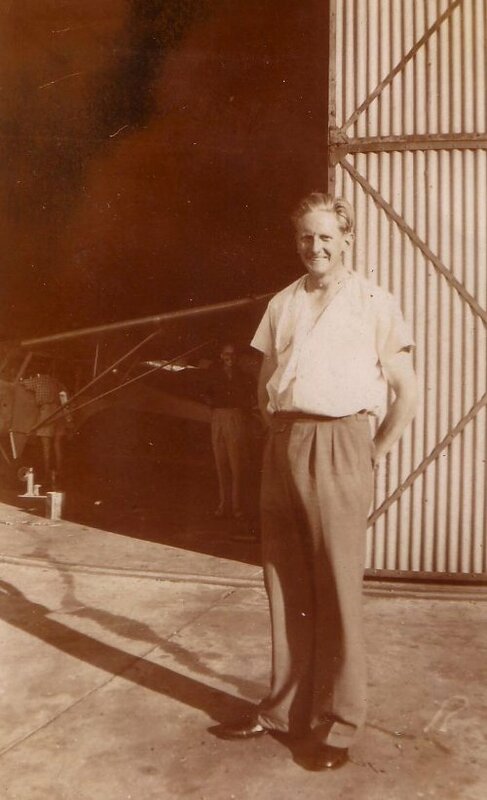 Stan Clegg founded United Airways and they operated Vikings, a Fairchild F-24R and a de Havilland Dove. The other Directors of the Company were Messrs Joel D. Herholdt, Beaumont D. Pringle and C. F. Munnik. The Company held a non-schedule charter licence for Africa, Middle East, Near East, Europe and the United Kingdom. It also operated a schedule Rand to Margate service with a de Havilland Dove aircraft. Carl Reck tells the story that on a Haj flight to Jeddah with Stan Clegg they were refused permission by the Saudis to land and had to divert to Port Sudan. Stan first tried to hire a boat but the passengers begged him not to ship them as piracy was rampant on the Red Sea, so he chartered an Aden Airways Dakota to fly the passengers to their destination, and they flew back empty to South Africa. Carl further tells the story of their dramatic flight back to Port Sudan to fetch their passengers. The crew on that occasion was Stan Clegg, Fritz Anderson (later killed in a crop flying accident) Vic Harper, Mrs (Ma) Clayton the hostess and himself. A cholera epidemic had broken out in Jedda and Port Sudanese officials also feared an outbreak of Typhus so the passengers were sent to an isolation camp south of Port Sudan for 14 days near the abandoned Town of Suakin, which had been an outpost of the Turkish Empire. The crew had to remain in Port Sudan, as the authorities were worried that we would abandon our passengers. On the way back from a visit to check on the well being of our passengers they ran into a riot and their car was badly damaged by stone throwers. To top it all Stan had a ghastly attack of toothache. The local Dentist who looked like an all in Wrestler and wore a singlet, which looked as though he had not changed for a month or two, had no anaesthetic. He gave Stan a very large tot of whiskey straight in a well fingered glass and pulled out the offending tooth. It was Friday afternoon 12 January 1951 when United Air’s de Havilland Dove, ZS-DDW, took off from Margate to Johannesburg with Ten Passengers and a crew of two. The Captain was Stan Clegg and the Radio Officer was Victor Harper. Summer afternoons on that route are renowned for the build up of thunderstorms where severe turbulence could be a hazard. It was over Ixopo an attractive settler town in south-eastern Kwa-Zulu Natal that farmers said they heard a slight explosion before the aircraft fell apart, scattering its torn contents over a wide area. None of the wreckage appeared to have been burnt. Another Farmer Mr. Ted Freeman on whose farm the wreckage fell, described how the machine disintegrated. “I was sitting in the farmhouse writing when I heard a far off buzzing sound like a plane’s engine,” he said. “The sound grew and grew in volume until it became a terrific roar right overhead. I rushed outside and looked up. The whole sky seemed to be filled with falling debris that appeared to come out of the clouds”. The official probable cause was structural failure due to thunderstorm penetration. This was the third in flight break up in the world of a de Havilland Dove and all the worlds Doves were grounded. Following modifications to the engine mounts no further failures of Doves from 1951 to date have occurred. Fate works in mysterious ways. Carl Reck who was a Engineer with United was due to fly down to Margate and work on the aircraft while it was on the ground but this was cancelled due to the aircraft being fully booked for the return trip. A Mrs Emily Kock urgently wanted to fly to Johannesburg to be with her sick father, but all seats in the aircraft were taken. A Mr. M. W.W. Rush, one of the intending passengers, kindly decided to let her have his seat, which saved his life. Three of the other victims nearly missed the flight, and another changed his flight to a day earlier. Stan Clegg's tragic and untimely death robbed the burgeoning aviation industry of a thoroughly dedicated professional and real gentleman. He had a brilliant war record and because of his outstanding qualifications and experience as a pilot he was chosen as one of the pilots to fly Winston Churchill’s party to Yalta when he visited Stalin in 1945. Tony Clegg who followed in his father’s footsteps as a career pilot says as a young boy when he asked his father why he was awarded a Russian medal he modestly replied “for shovelling snow off the runway”. Not only did Comair survive the early years but they grew from strength to strength to become one of the most successful Airlines in South Africa. The idea was born in 1942 by two pilots of No 5 Squadron namely J.M.S. Martin and A.L. Joubert, at the time based in Egypt. Leon Zimmerman who was the squadron adjutant overheard their discussion and told them that they would need someone who understood a bit about business or they would go broke. And so Leon Zimmerman became their third partner, followed much later by J.D. Human. Meanwhile a war was to be fought and it was only after 1943 when they returned to South Africa that the Company “Commercial Air Services” was registered. In 1945 Zimmerman and Martin used to meet during weekend leaves from their units to plan further and many letters were written to American companies outlining their objectives. Eventually Cessna Aircraft offered them a light two seater and later agreement was reached for them to become a “Cessna Distributor”. In the late 1945 Leon Zimmerman left the Air Force and opened an office in Johannesburg. It was discovered that there were a number of Fairchild UC-78 aircraft in Cairo that would be suitable as a start. This was a pre war civilian F24R and was used for communication purposes. It was a 4 seater with a comfortable cabin and cruised at 120 m.p.h. The price was ?1000 each obtainable from the American Foreign Liquidation Commission, responsible for foreign liquidations. Arrangements were made to buy the aircraft with the National Industrial Credit Corporation. In 1946 Martin and Joubert went to Cairo where they took their discharge taking advantage of the free transport and all ten aircraft were flown to Rand Airport by an assortment of friends, prospective employee pilots, none with licences or passports. This problem was solved by them wearing S.A.A.F. uniforms and caused no comment as the aircraft still had R.A.F. markings. In the meantime Mr. J.G. Mckerril as Chief Engineer had formed a nucleus Maintenance Organisation at Rand Airport where the aircraft were overhauled to obtain their S.A. Certificates of Airworthiness. On the 14 July 1946 Comair finally flew their first charter flown by Martin from Rand Airport to Durban. In that immediate post war period it was a bit of a free for all, until the National Transport Commission brought some kind of order. There was a demand by business people for air travel to many parts of Africa. Airfields were usually rough grass strips and navigational aids completely non-existent. The charter business was so successful that a modest expansion program was started. Of the ten original aircraft, one was cannibalised to provide spares, two others went to C.A. Services Rhodesia, one to C. A. Services Natal, and a fourth sold for ?2000 to provide modest capital. Two Cessna 140 demonstrators were also purchased and Comair was in the aircraft sales business. This was the start of the outstanding successful association with Cessna. 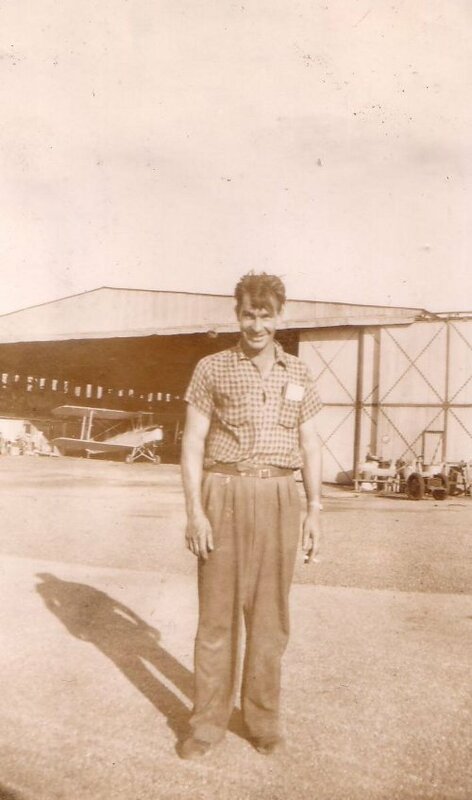 Peter Van Emmenis was young, 19 years of age and had recently completed his Active Citizen Force flying training when in 1952 he joined Comair. He was posted to Welkom in the heart of the Free State gold fields to join Woolfy du Plooy. His flight duties would be delivering a consignment of daily newspapers to Bloemfontein and other smaller towns in the area. The morning Rand Daily Mail was printed in Johannesburg. The early edition would then be dispatched by delivery van in the early hours of the morning to arrive at Welkom by 6 am. They used Cessna 140 aircraft; the registrations were ZS-BFY, ZS-DEE and ZS-DEJ. Peter writes that they were a delight to fly and although only a two seater, there was enough room for the newspapers. The newspapers had to be delivered, irrespective of the weather so they flew mainly low level because of the nonexistent ADF beacons and so became completely familiar with every inch of the landscape. They also had to contend with the sandstorms of intense density prevailing in that part of the Free State where visibility is reduced by red dust for days on end to a minimal distance. When the airports were waterlogged they would fly with flaps down near stalling speed, looking for a dry spot, the newspapers bundles were pushed out of the door like “bombs” to land near waiting couriers on the ground. Hanging on to the controls, watching the airspeed, opening the door, and pushing out packages of newspapers, required a lot of concentration and skill. One day, Johnny Human, one of the directors of Comair suggested to Peter that he should be looking further afield for an aviation career instead of just delivering newspapers in a Cessna 140. This was a major turning point and set in motion events that motivated him, and eventually played itself out in the cockpit of a Sabena DC-4 in 1958 in the Belgian Congo, where Johnny Human was the First officer and Peter the Captain of the flight. After a brilliant flying career and having reached retiring age Peter left Singapore Airways where he was employed as one of their senior Captains. Along with selling Cessna’s a flying training school was also started, and not many people know that in 1948 Comair successfully ran two flying courses to train pilots on behalf of the Zionist Federation for the newly formed State of Israel. They used Tiger Moths, Cessna’s, and a Navion and Twin Consul aircraft. The instructors for the first course were Mike Martin, Joe Joubert, T.C. Scott and Leslie Pink. The same instructors (except T.C. Scott) conducted the second course, plus C. Duval, R. Davidson and Coleman Meyers. The courses generally went very well, with a few students failing on the way. Inevitably there were several accidents. Cessna 120 ZS-BFC crashed at Rand Airport on 5 November 1948, the Cessna 140 ZS-BFK crashed at Klip River on 23 March 1949. Consul ZS-DDN was damaged beyond repair at Rand Airport on 20 June 1950. Some of the students were later in life to hold high positions in different airlines. Airwork of London was to take a 50% interest in Comair and as a result in July 1948 Scheduled Service using a new Cessna Model 195 started. The routes flown were from Rand Airport via Kroonstad, Odendaalrus, Bloemfontein, Bethlehem and Ladysmith to Durban with return flights daily. Operationally, the service was a great success, a tribute to the excellent maintenance organisation run by R.F. Haywood. Commercially it was disastrous, and it was announced that it must end. Anglo American then stepped in with a request that at least the service continue between Rand and the part of the Free State gold fields for which they would subsidise any losses that might occur. In May 1949 a daily return service was flown between Rand and Welkom and the rest of the route was discontinued. Gradually traffic improved and two de Havilland Rapide aircraft were bought and put into service, followed in 1951 by de Havilland Dove aircraft. Investigations indicated that Lockheed Lodestars might provide a better result and in 1953 two Lodestars were purchased from East African Airways. The passengers were delighted and losses were substantially reduced with encouraging signs that profits might result. From 1955 the next five years that is not the subject of this book saw considerable growth and profits. Comair was to grow and reap the rewards of their efforts and foresight. In October 2000 the airport was privatised. The operators at Rand Airport formed a consortium and hold 50% stake. An empowerment group Mayomdi 30% and the Erhuruleni Metropolitan Council 20%. Rand’s role has changed over time but continues to play an important part in spite of not gaining international status. It is hoped that through this book I can rekindle the memory of our pioneers and that this part of our Aviation history will not be lost to future generations which is often the case. This fledgling had long since left the nest and sometimes that old nostalgia carries me back to a way of life that has gone forever. I suppose that it is something like death, one door closes and another opens.